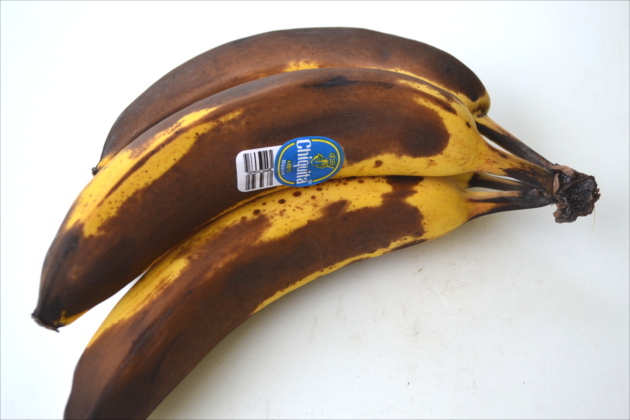 What do you do when your bananas start to brown? Surprisingly a lot of folks throw them out, what a waste! This is when the flavor is at it’s best. Instead of throwing them out, freeze them. It’s super easy to do, they’ll keep for several months and they can be used in so many delicious recipes. I always have the best intentions when I throw a bunch of bananas in the shopping cart. However, by the time I get home and take them out of the bag, they seem to already be growing little brown spots. It doesn’t matter how green they are when I buy them, those little spots seem to take over in a day or two. I could avoid buying them, but my kids absolutely love bananas, so much so that I’m beginning to think that they are all part monkey. I love bananas too, not just for their deliciousness but for all of the other great uses they have. So dealing with the unappetizing, brown appearance has become a part of my life. It used to be that I would throw them out when I saw brown on them, that’s when I was young and didn’t know any better. Now that I’m older and wiser I’ve learned that this is when the bananas are at their best and contain the sweetest flavor. Throwing them out is no longer an option, to the freezer is where they go. 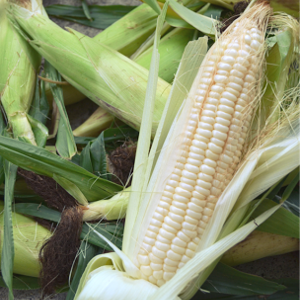 If you’re wonder what to do with them once they are frozen, let’s just say a lot. One of my favorites is a frozen banana dipped in chocolate and nuts, or there’s the healthy banana ice cream sprinkled with a few chocolate chips. Hmmm, I see a pattern here, chocolate and bananas. If you’re not into the chocolate thing, frozen bananas make the best banana bread, the liquid that they create when thawed adds amazing flavor to the bread. It’s also nice to have frozen bananas handy when your in the mood for a smoothie. However you choose to use them there are a few tips to freezing you should keep in mind. I don’t usually freeze bananas in the peel, not because you can’t, it’s just that I’m a little turned off by the way that they look. My mother-in-law just puts the bananas, peel and all in the freezer. Then when she needs them for a recipe, she pulls them out, and places them on a dish to thaw. Once thawed, she’ll open up one end and the banana will slide out. If you have plans to make banana bread or some frozen banana pops you can freeze the bananas whole. 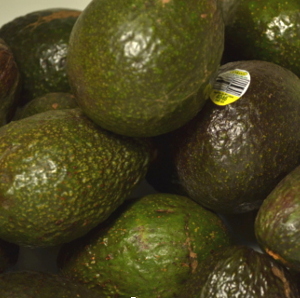 Peel, place on a parchment lined baking sheet and place in the freezer for 20-30 minutes. 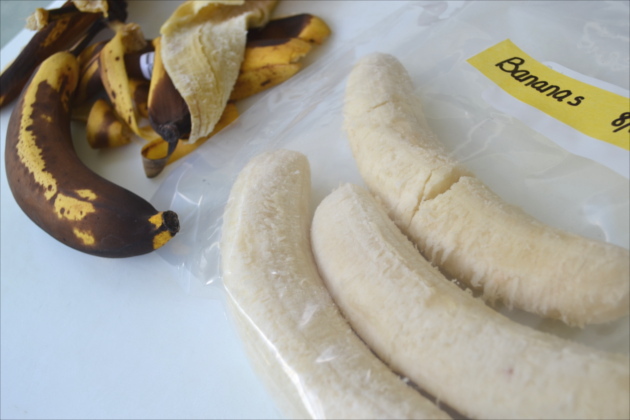 Once the bananas are partially frozen you can transfer the to a freezer bag. Flash Freezing the bananas before putting them in freezer bags keeps them from sticking together. When your in the mood for a smoothie or some banana ice cream a whole banana is just to much. This is when your better off with some slices or chunks of frozen bananas. 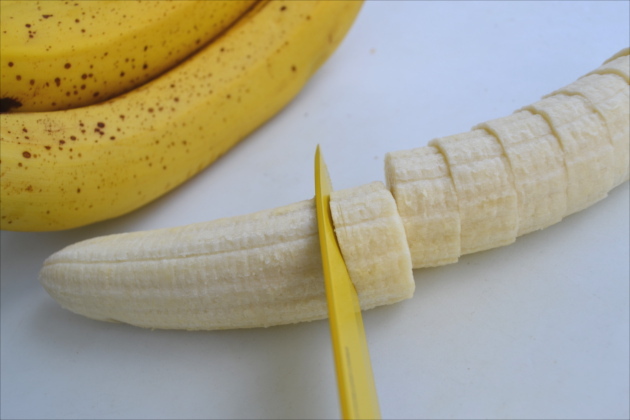 Peel the banana, cut into even chunks or slices. 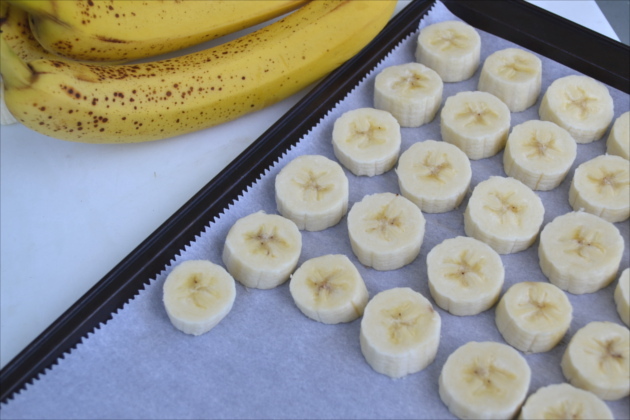 To keep the bananas from sticking together, place them on a parchment lined baking sheet. Make sure that they are not touching then place the baking sheet in the freezer for 20-30 minutes. After you’ve waited patiently for them to flash freeze, remove them from the baking sheet and place them in a freezer bag. 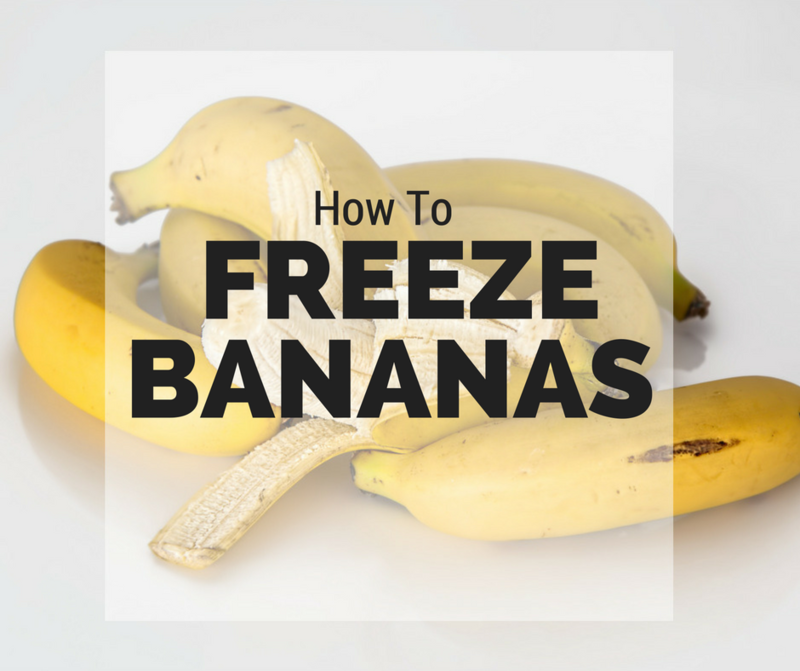 I love bananas and peanut butter, but I never thought about freezing them for a snack – great idea! I freeze bananas only sliced as I mostly use them in smoothies. Never thought that I can freeze them in the peel, maybe I will try this once.